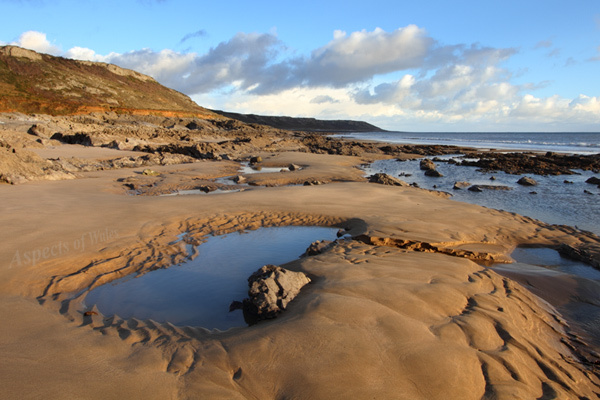 Taken in the afternoon, just before the sun disappeared, on 27th December 2014 at NGR SS4787385496, looking east towards The Sands (Slade) and Oxwich Point from Port Eynon Bay, slightly east of the village of Horton. Canon EOS 7D, Canon EF-S 10-22mm lens at 15mm, Manfrotto tripod. Exposure F11 at 1/60 sec. Original image in Raw format.